Ah, the Wii. The little system is now nearly 11 years old and was an outstanding commercial success; it also brought us a wonderful game library with plenty of titles that'll go down as Nintendo classics. Its broad appeal also made it ripe for various so-called 'casual' games, and despite the system being long since discontinued and replaced, a few franchises just can't let go. Just Dance 2018 is one example, of course - it lacks the more modern features on Wii but has the basic modes and a budget price, and we bet it'll clock up respectable sales next week (otherwise Ubisoft wouldn't bother with the release). 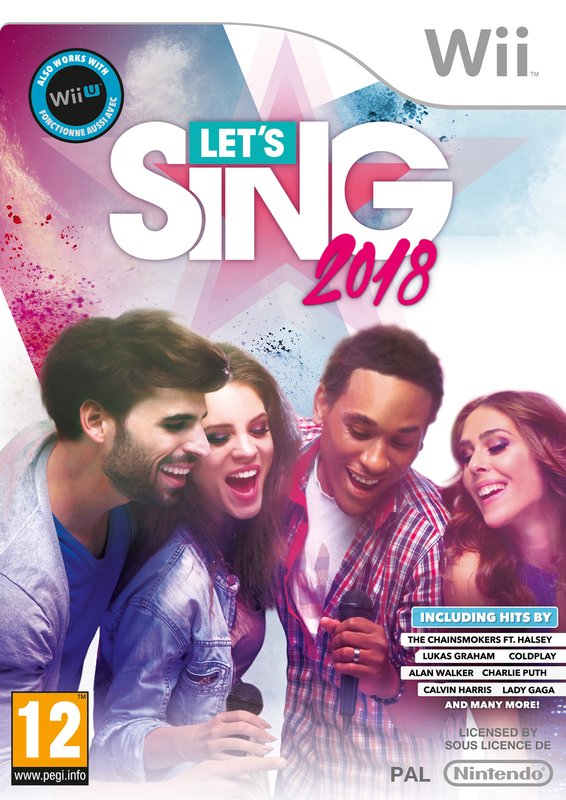 If singing is more your thing, though, then Let's Sing 2018 is out now - on Wii. What's weird about this one is that it is coming to Switch, just not yet. So the launch trailer shows off the Wii box-art alongside the PS4; they're natural buddies, of course. They're pretty simple games, as you sing along to music videos and cause an outrage of public decency in the process; trust us, your neighbours are not having as much fun as you are. 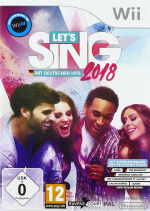 So, dust off the Wii and sing badly, you know you want to... No?! Saw a little girl in a hospital playing a game like this the other day. They have a Wii built into a mobile robot thingy on wheels with a TV attached so that children can play. Seemed to make her happy, so if getting the latest release with new songs is going to be popular, then why not? Makes sense. Plenty of families still have a Wii and (I assume) it's just a content update for the existing game anyway. I'm glad I still have my Wii setup ready to not play this time one! I sing along to all my Michael Jackson albums, don't need this lol. Enjoy though, if it's yo thang! What stores even still have a section for Wii merchandise? Only places I see it are used game shops. The local mall where I live here in Japan replaced the entire Wii U section with Mario Odyssey boxes. lol I haven't seen new Wii content on a shelf in a few years at least! It just won't die, will it? Coming to the Switch later. They are probably trying to figure out how to get a microphone to work on Switch in both docked and portable mode. If it’s anything like in game voice chat or the latest wireless headphone debacle then expect numerous dongles / cable combinations. I can just play a CD of songs that I actually like and sing along to that. 11 years ago... simpler times. I think as a member of Gen X, I'm part of the first generation since we had "pop charts" to complain that the music of the next generation is too dull, sanitized, and corny. Especially right now...what is this trend of low energy, meandering, minimalist, snooze-fests? Exactly... The Wii actually works really well for people who are sick or injured, since a lot of games only require the use of one hand/arm due to the WiiMote design and/or can be played with WiiMote/Nunchuck with arms at the side. The Wii is also more intuitive for some people who aren't experienced gamers. Whatever works for providing some entertainment to those in the most need of it! I NEED THIS! WHY EVEN BOTHER BUYING NEW SWITCH GAMES!! The Wii is still alive, it just so happen that I just bought two games (Muramasa: The Demon Blade and Little King's Story) for it yesterday and I hope I made the right choice. @Heavyarms55 if you’re in the US, Wal-Mart still has quite a selection of Wii games available at their stores. @Zerow Depends on the store... Some have only 4 or 5 games, and only one case dedicated to all Nintendo games, (including 3DS & Switch) but have several cases for just one PS4 or X-Box systems... I really hate how Nintendo fans always get so fewer games in retail, regardless how well the Switch & 3DS were doing. 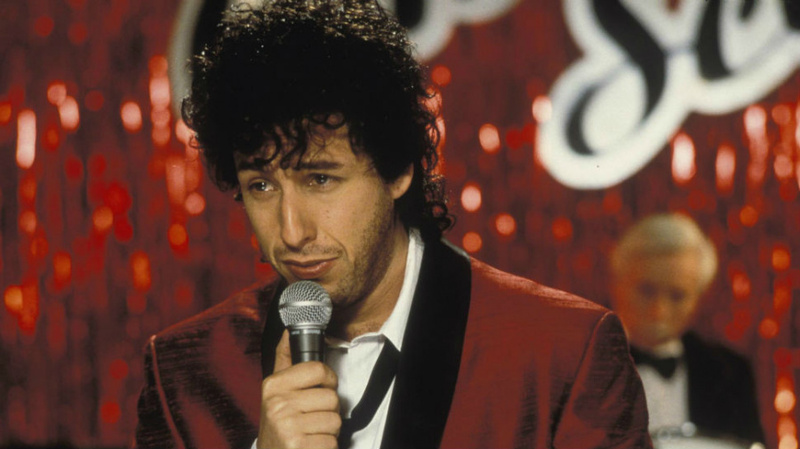 Also, because nobody made the reference yet... "LOVE STINKS!" "What's weird about this one is that it is coming to Switch, just not yet. So the launch trailer shows off the Wii box-art alongside the PS4; they're natural buddies, of course." Bullcrap, a Wii is better than four PS4s. I think at this point, provided yearly Just Dance and Karaoke continues to hit the Wii every October/November, the Wii may very well continue to get retail games for longer than the PS1 or PS2 did. I mean, it wouldn't surprise me, these continue to do very well with the audience they're made for, and I'm sure the publishers and music licensors are making a healthy profit. I love the works on wiiu sticker. What kind of a stupid developer releases a Wii game now? Well, given how very little stock shops are going to have of this Wii game, this could end up being a rare pricey Wii title someday. There are people out there who still treat the Wii like a awesome party machine. Makes me wonder if Nintendo will still push casual games for Switch later on. 1-2 Switch was there for a reason. @Angelic_Lapras_King I highly doubt it. They churn out these games every year. I like how it has the sticker stating its also playable on the Wii U. An effective way to release a game for both the Wii and Wii U I suppose. Then again, if your game isn't at all about the graphics then I suppose its acceptable. Still seems incredibly strange all the same. @OrigamiSquirtle Why? This makes me happy. I think it's really cool that a new game is coming to the ol' Wii. The image was perfect, I had a good laugh. As for the game, not a chance I'll be buying it but I'm sure there are some people out there that will. "Also works with Wii U". The successor console is mentioned in a side note. I... I can't even begin to describe what's wrong with this. "So, dust off the Wii and sing badly, you know you want to... YEE?!" @Beau_Skunk I know, my local Walmart is the same way! Literally every game case in their electronics​ department, except for one, is all Xbox and PlayStation. And the one case that does have Nintendo games in it is literally 50% 3ds games(which I don't mind as I still buy 3ds stuff), 40% Switch games, and 10% Wii games not mention the handful of games on another shelf. Another thing that makes me kinda happy in a way is that my local Walmart has more Wii games in stock than Wii U games. I just went there here recently and really the only Wii U game I saw there was Skylanders Superchargers while they had several Just Dance games, a Skylanders game, and a Let's Sing game all on Wii.